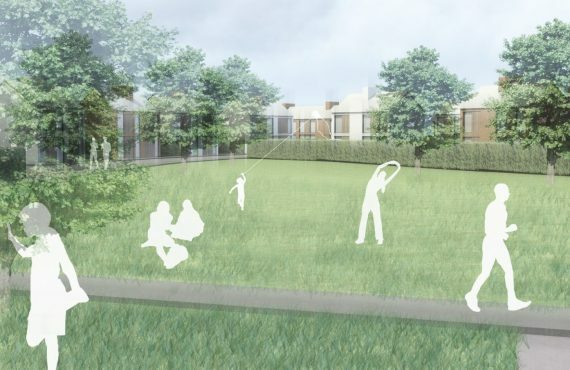 This rural Herefordshire open countryside site is a gently sloping topography surrounded by mature trees and fields with a substantial earth mound forming the backdrop to the proposal. The project is conceived as a part earth sheltered V-shaped plan that thrusts up through the sloping landscape. 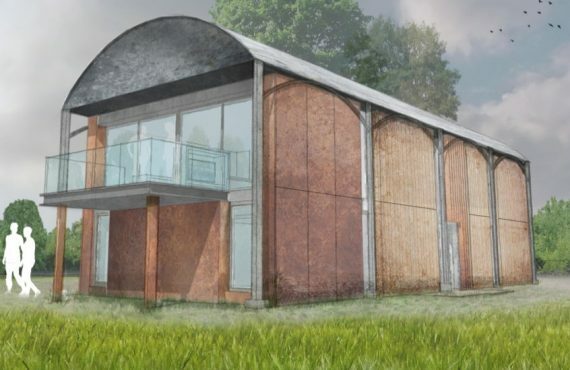 The proposed roof is a turf roof, and the exterior walls would be formed in handmade bricks, finely detailed to form proportioned window reveals, the rhythm of which dissolves into the earth bank to the south. 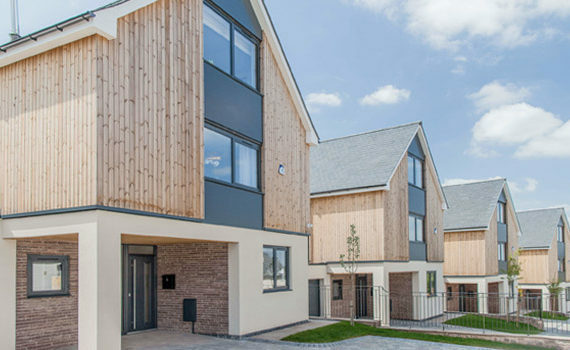 The three-bedroom house forms accommodation for family members and guests. Internally the spaces carefully frame the landscape and scoop up daylight via the internal courtyard on the south elevation. The innovation and beauty of the proposed scheme will be particularly evident in the detail of handmade bricks used as the cladding. These bricks will consist of subtle variations, some of which have the thumbprint of the maker baked into the surface. Internally the spaces carefully frame the landscape and provide a rich sequence of well-proportioned open plan spaces, which includes, a guest suite, open fire places and vertical access to an enclosed roof garden terrace. 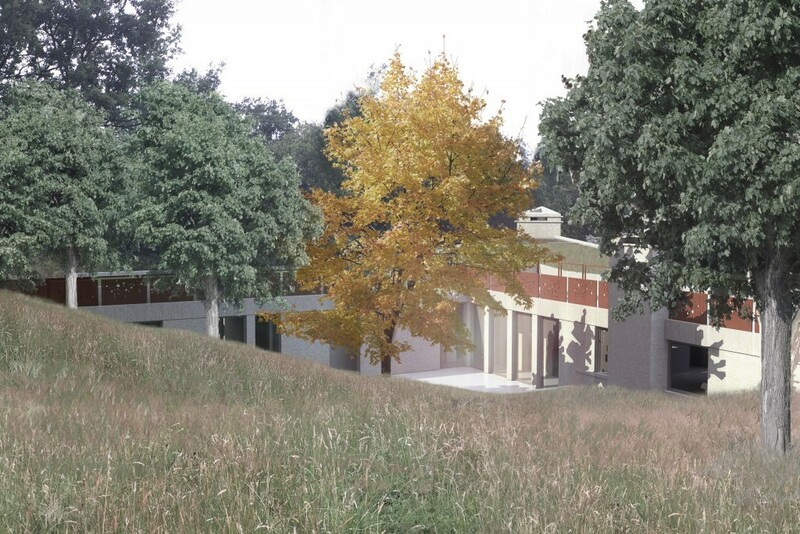 Given the nature of the site, we have ensured much of the mass of the building is concealed by the sloping topography, which will allow the lower ground level, and garage, to be buried beyond view. 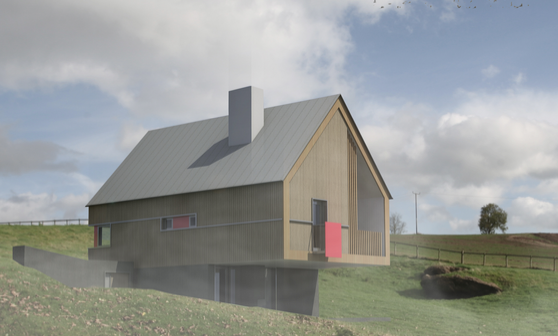 The proposed building is an example of an innovative piece of architecture that suggests a typology for the one-off house that is not an object in the landscape but is of the landscape; yet is not so deferential to nature, that it isn’t challenging, dramatic, and most of all poetic. 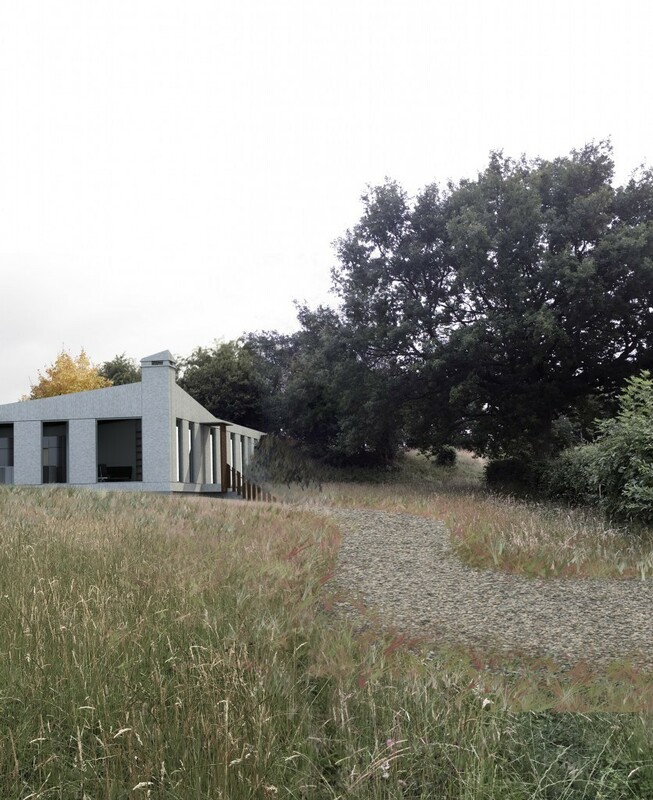 The White House will be a significant project for Herefordshire, as it will mark a departure from traditional pitched roofs, and create a house that is at one with its landscape character and setting. The visual images of the proposed building demonstrate an almost ethereal quality. 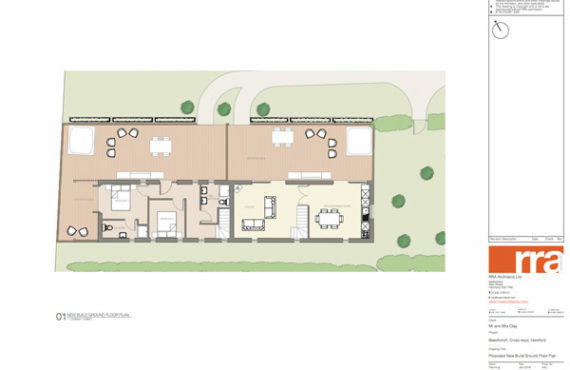 The proposal is currently being submitted for planning permission and expectations are high. This will be a beautiful addition to a beautiful landscape. 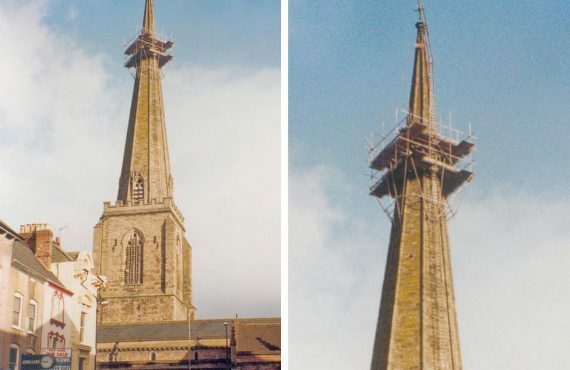 All Saint’s Church, Hereford 20 Years On . . .